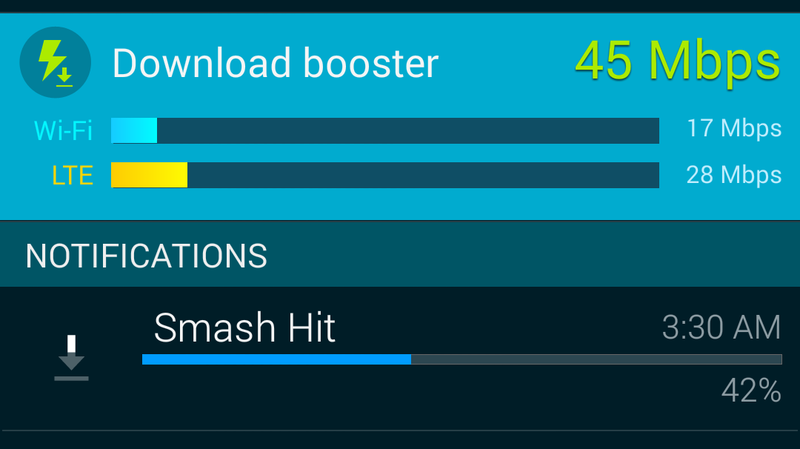 Samsung introduced an awesome new feature with the Galaxy S5 called “download booster” this allows users to download data at an incredible speed as it lets you use lets you use the LTE (3G or 4G) and Wi-Fi simultaneously, you can get an increase of up to 3 to 5MB/s download speed. Currently AT&T has disabled this feature on their phones for unknown reason, but if you own a Galaxy S5 from AT&T and want to make use of this handy feature, there is a workaround. You can now enable or disable the setting.